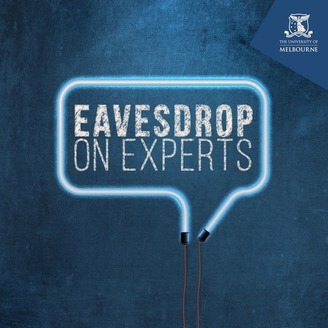 Overhear researchers talk about what they do and why they do it. Hear them obsess, confess and profess - changing the world one experiment, one paper and one interview at a time. 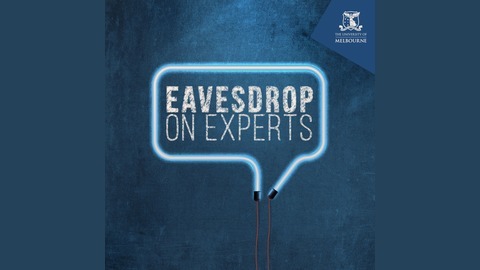 Listen in as seasoned eavesdropper Chris Hatzis follows reporters Dr Andi Horvath and Steve Grimwade on their meetings with magnificent minds. Made possible by the University of Melbourne. Chiptune is the electronic music that was integral to the experience of playing the early computer games like Pac-Man and Donkey Kong. And the art of composing a chiptune was all about being innovative in the face of the constraints that came with using a simple sound chip.“One of the really nice things about Chiptune is because it is so raw and open and simple, you are forced into a situation where you have no option but to create,” says Professor Kenny McAlpine, a Melbourne Enterprise Fellow in interactive composition at the Melbourne Conservatorium of Music and author of Bits and Pieces: A History of Chiptunes.“Because of the constraints of the sound chip, because they could only do limited music, the composers, when they tried to step outside of those constraints and push beyond them, had to look for other ways of achieving complexity and that had to happen through code,” he says.The irony is that despite all the creativity and ingenuity that goes into making a great Chiptune, Professor McAlpine says the best soundtracks shouldn’t be noticed.“They should get under your skin, they should affect you. All I want you to do is play and be in the moment.”Episode recorded: March 28, 2019. Interviewer: Steve Grimwade. Producer, audio engineer and editor: Chris Hatzis. Co-producers: Silvi Vann-Wall and Dr Andi Horvath. Banner image: Waring Abbott/Getty Images.